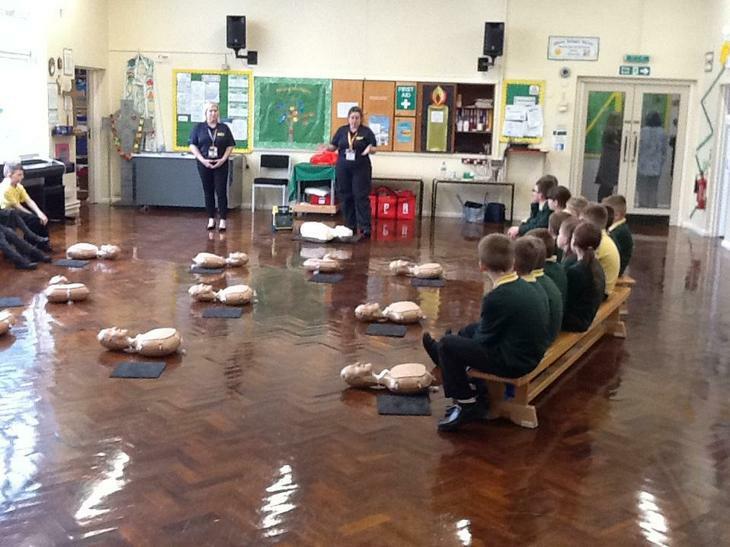 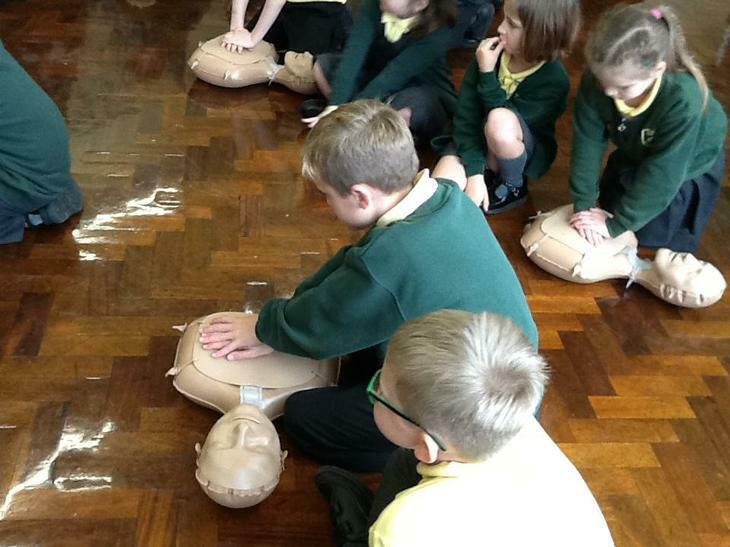 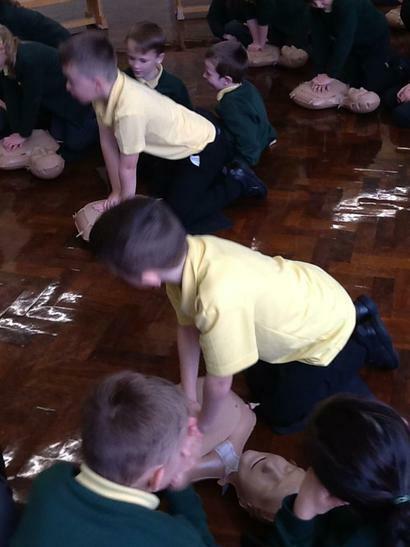 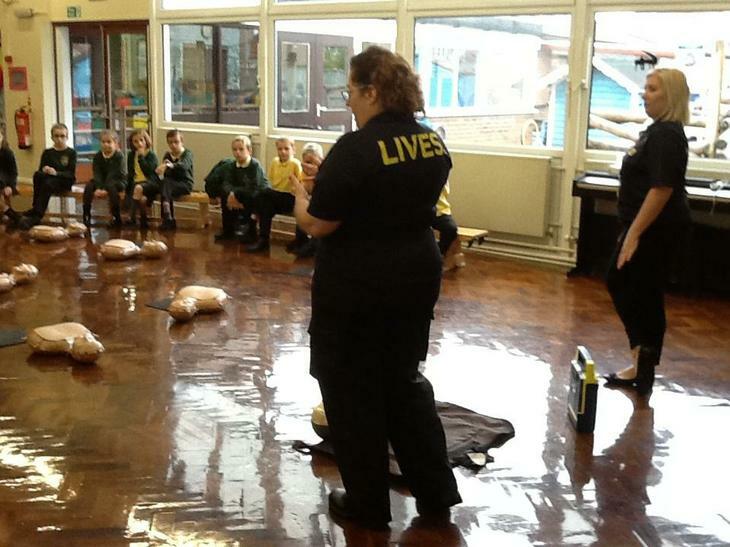 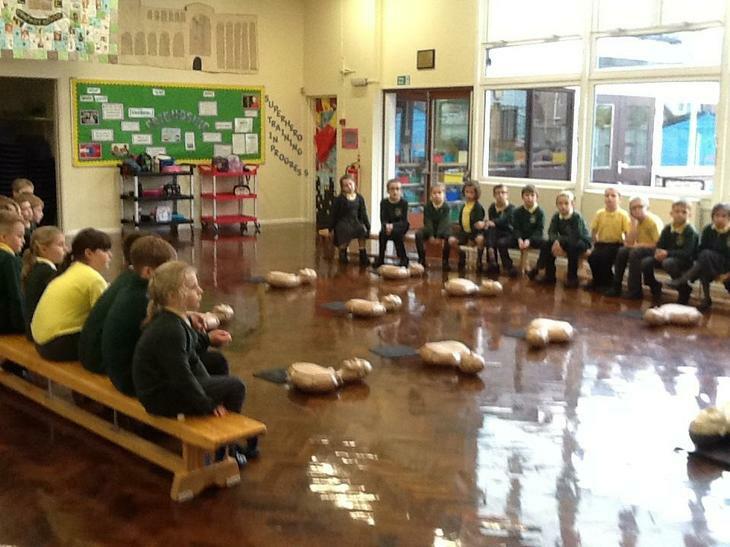 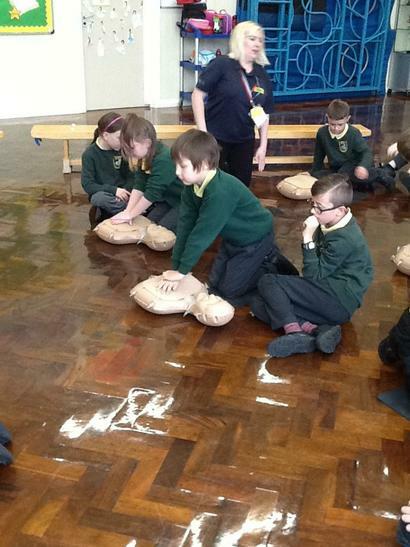 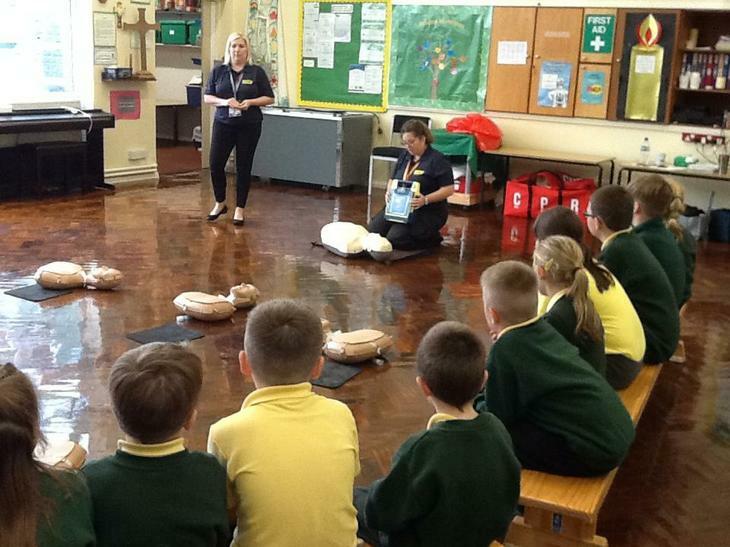 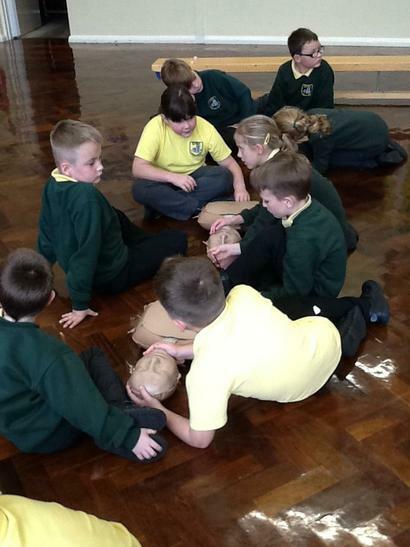 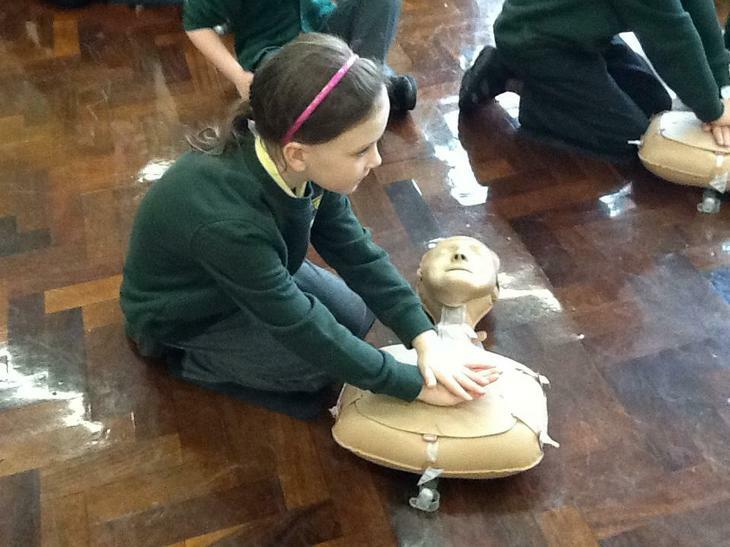 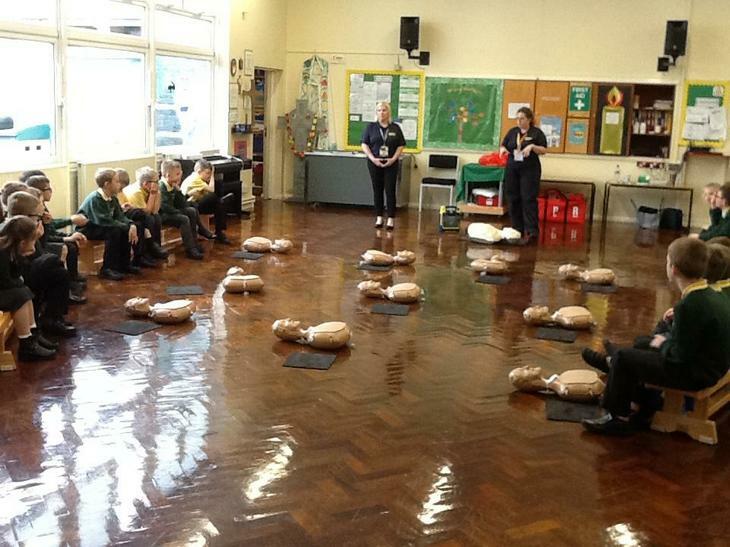 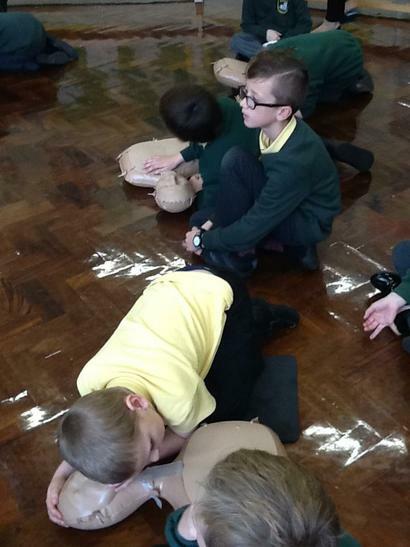 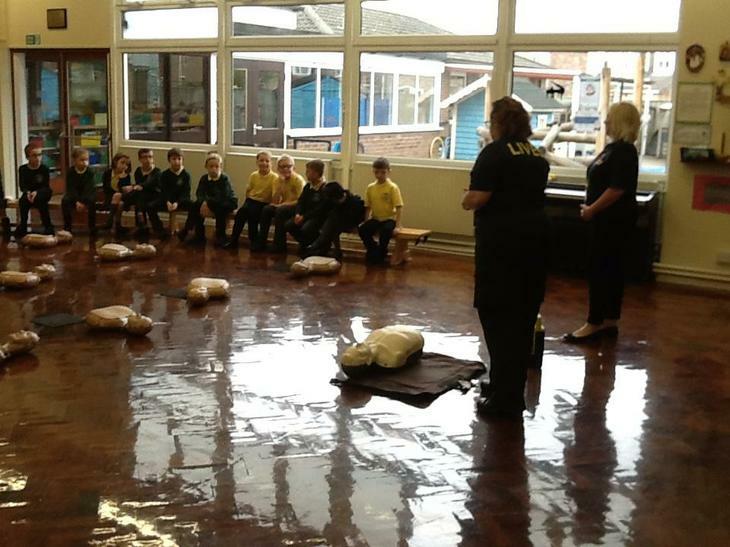 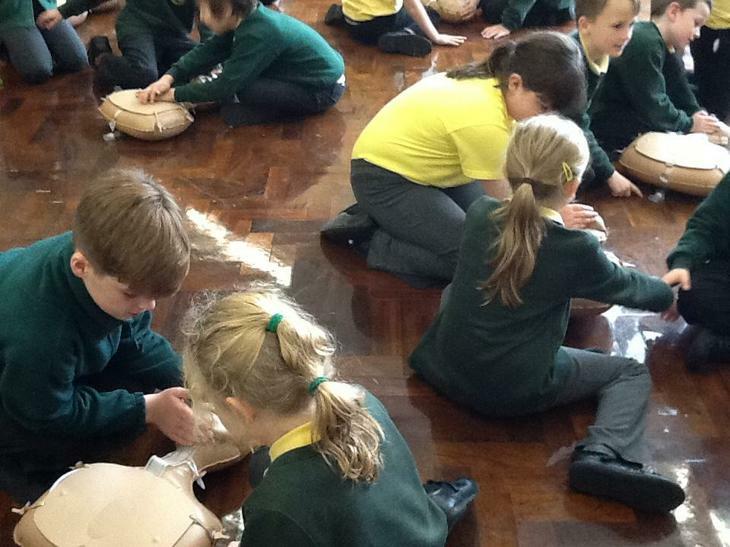 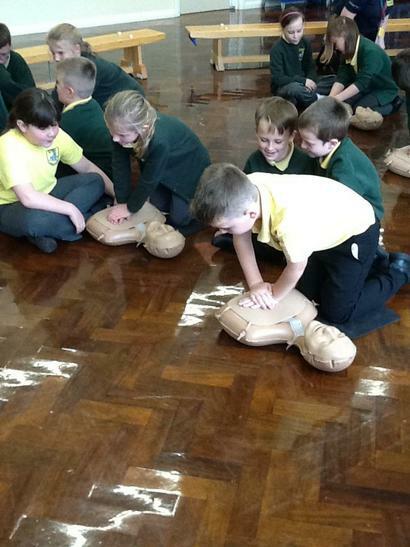 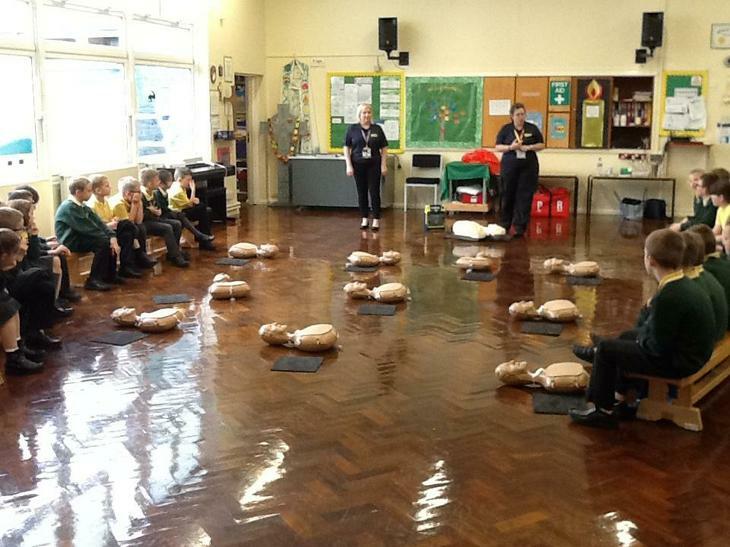 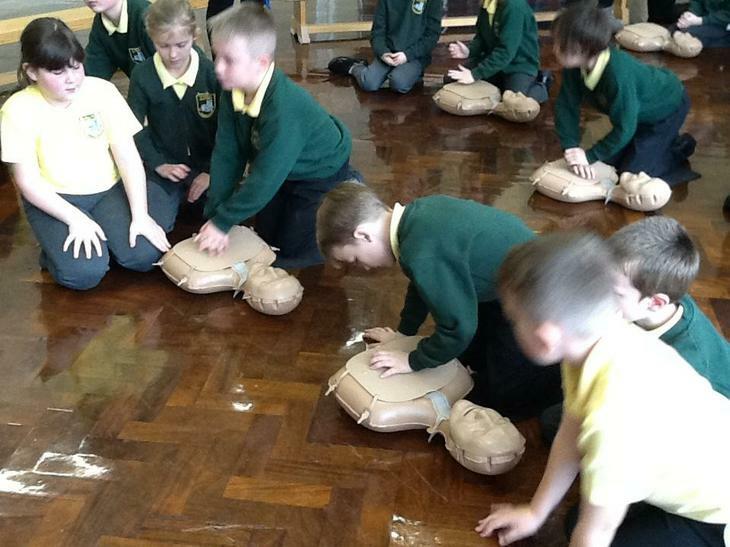 LIVES Restart a Heart Day! 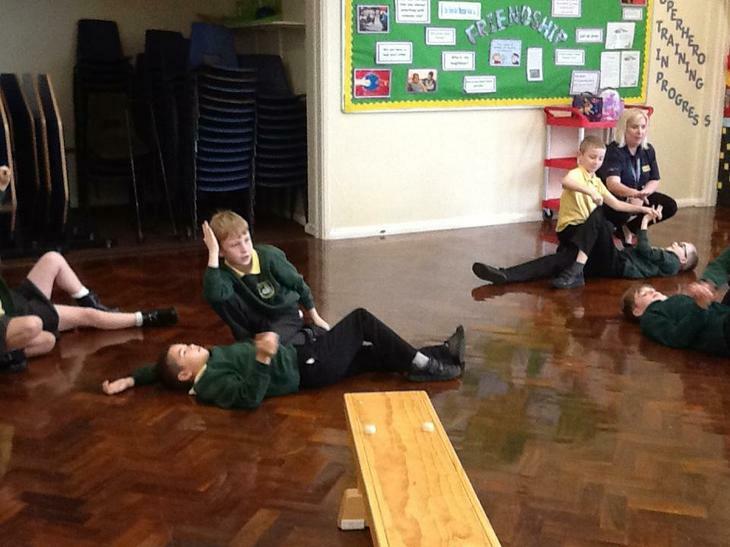 We loved taking part in a workshop with LIVES today. 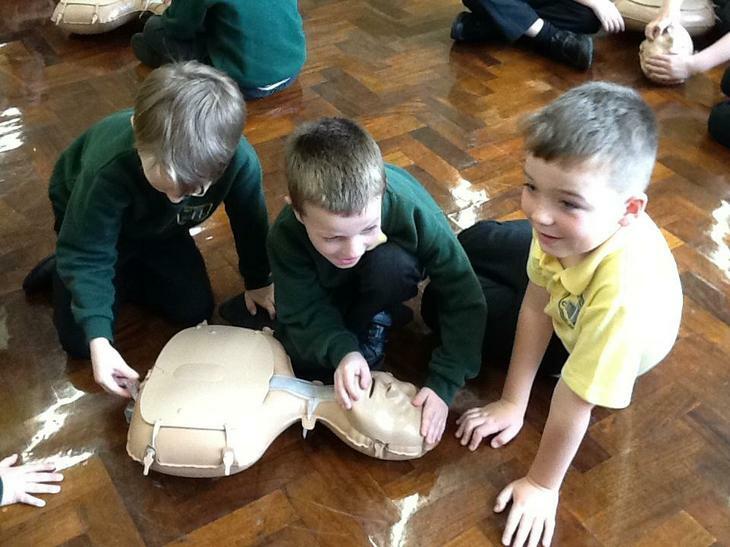 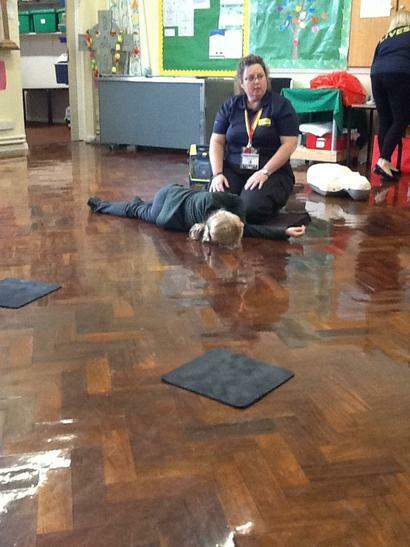 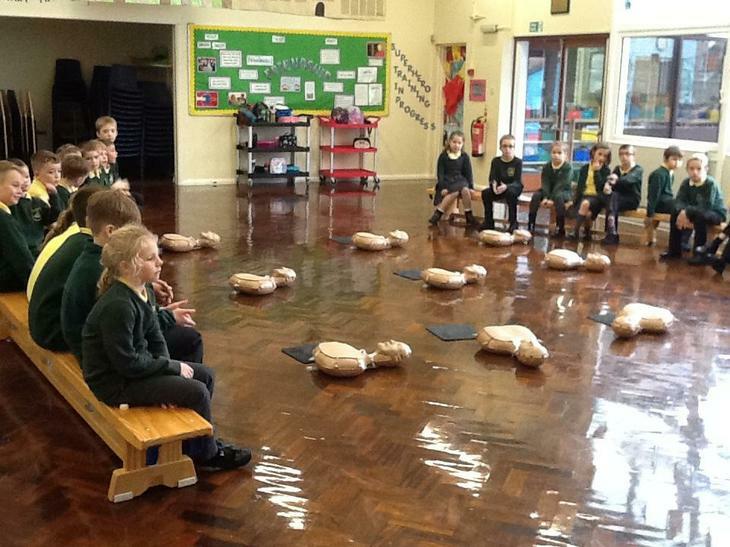 We were reminded of what to do when someone needs medical help and how to complete CPR. 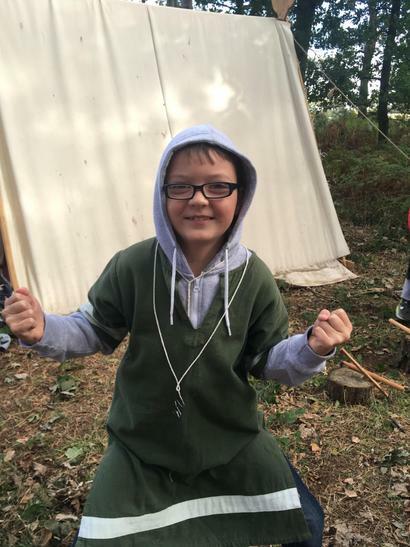 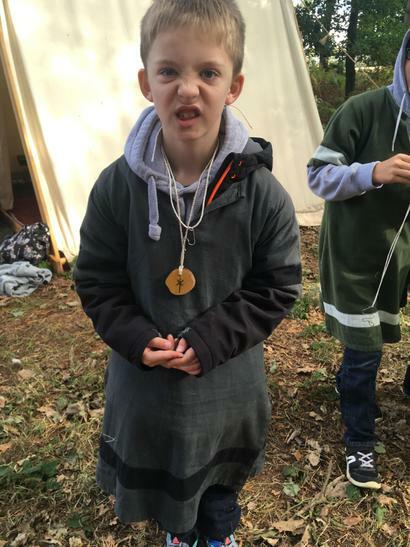 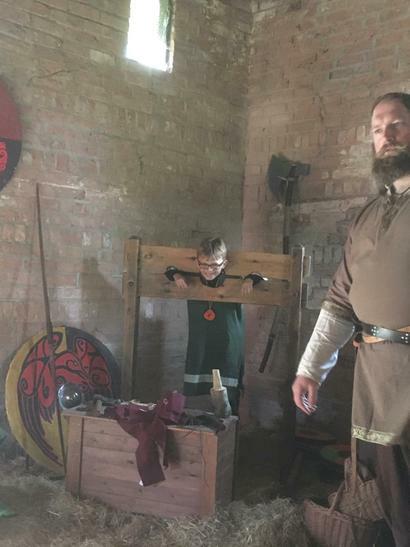 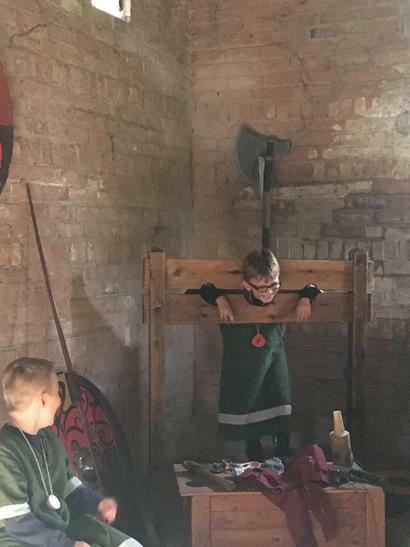 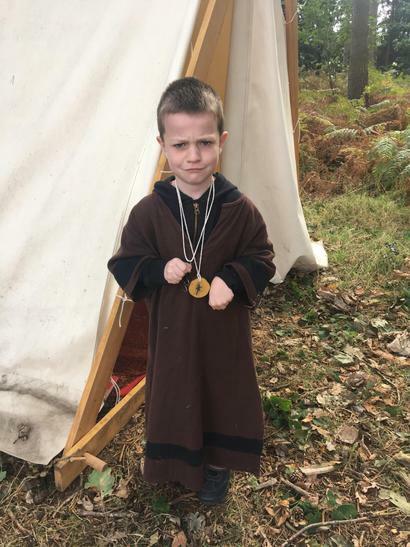 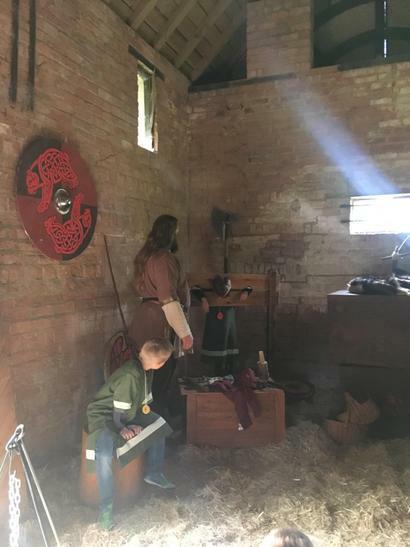 Sycamore had a fantastic visit to Perlethorpe this term for an active day of being a Viking! 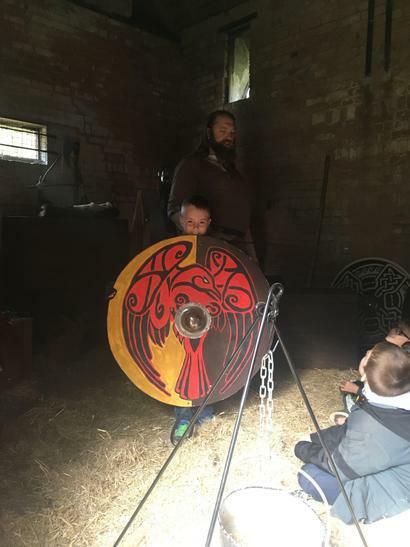 We met Magnus No-Laf the Viking and he took us to his Viking Village. 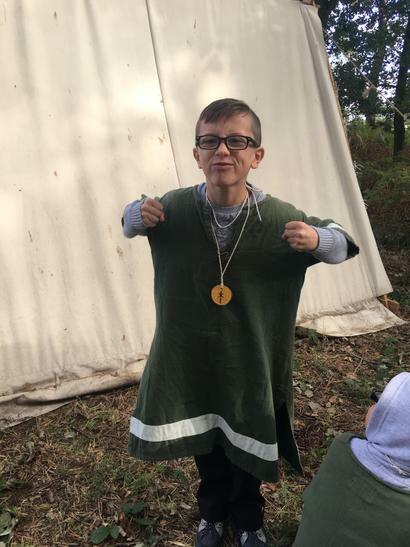 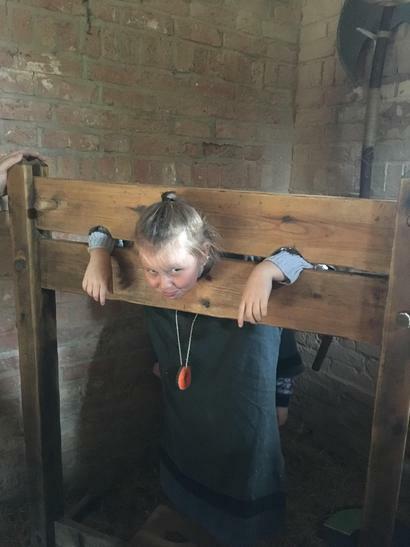 One of us even became his thrall or slave for the day! 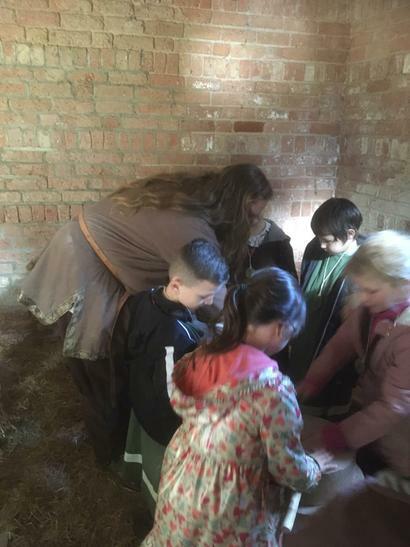 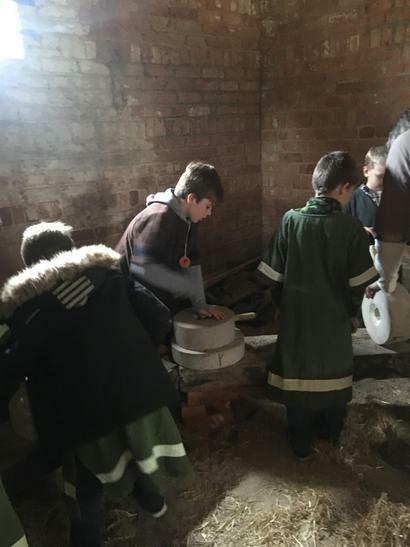 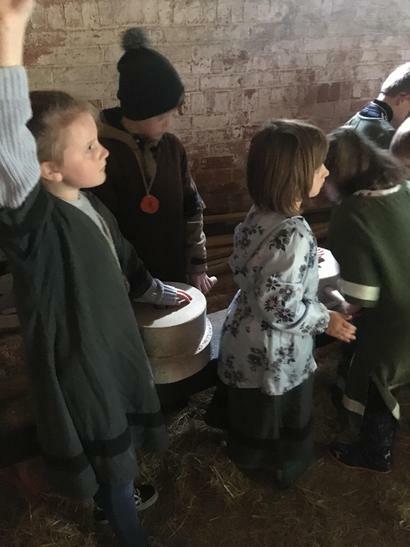 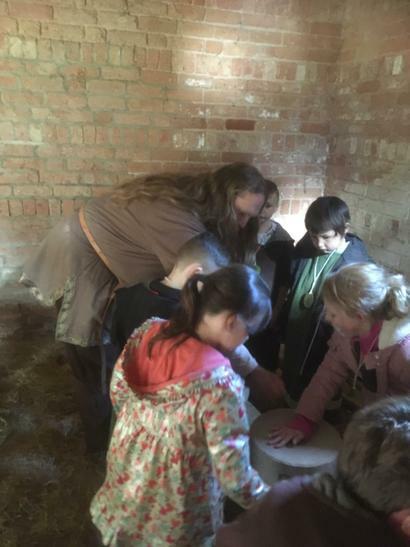 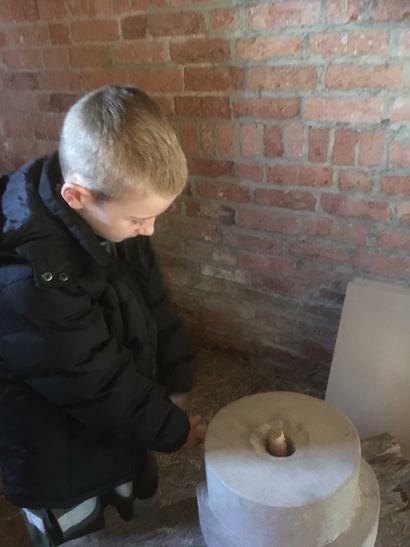 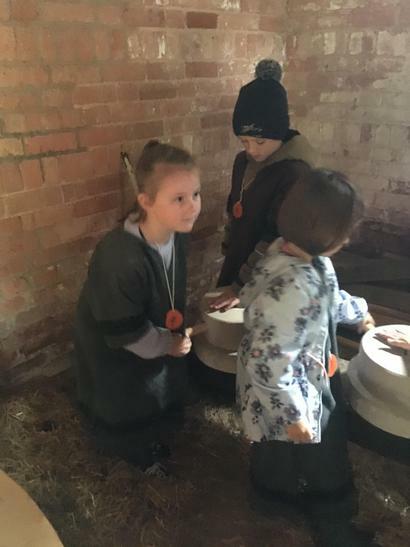 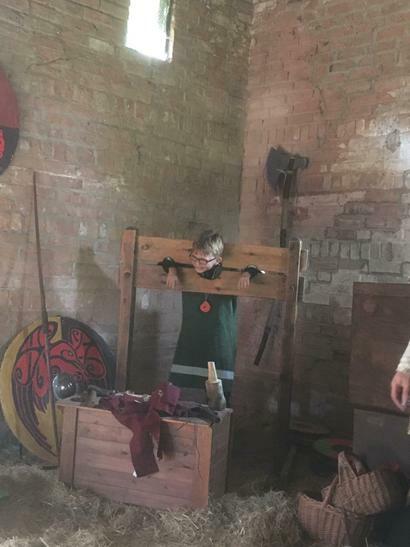 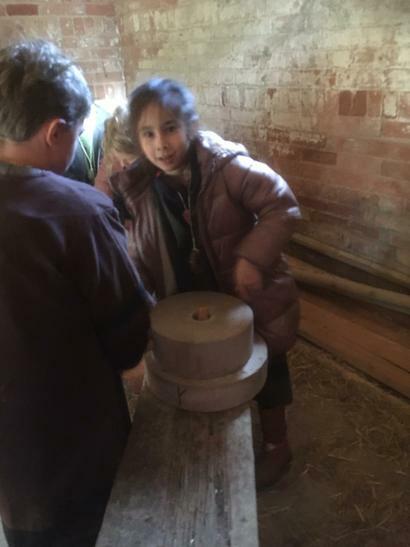 We tried out some of his weapons and armour and listened to some stories before grinding wheat to make flour! 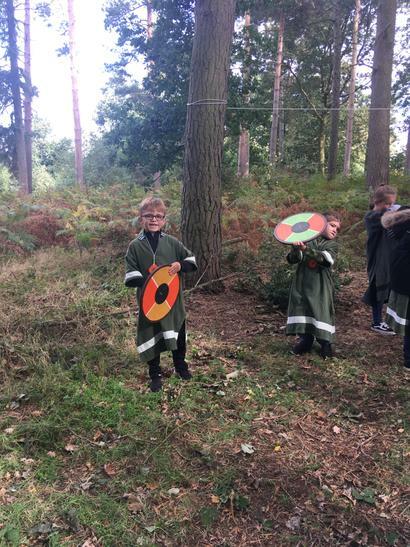 We also made our own jewellery and played a shield game. 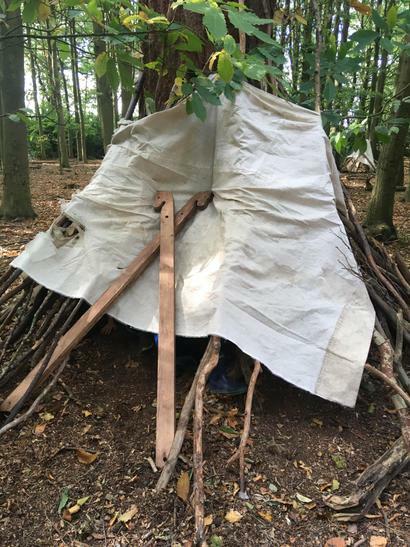 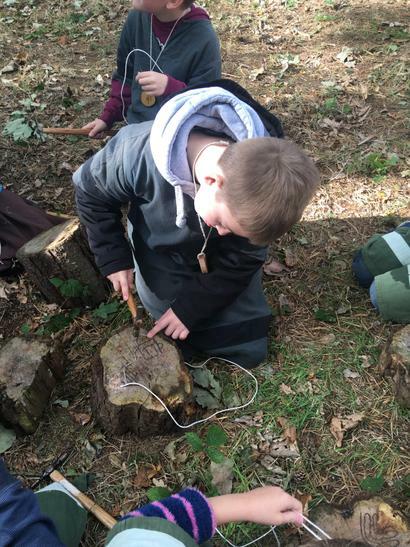 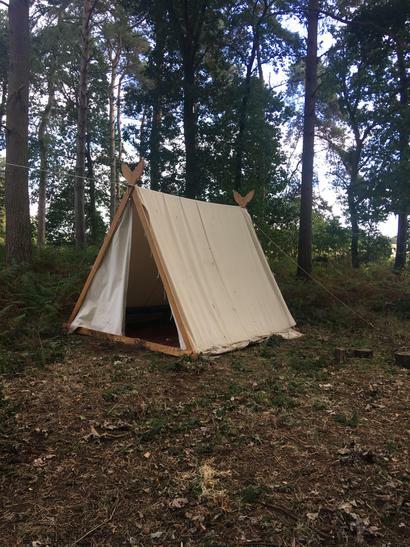 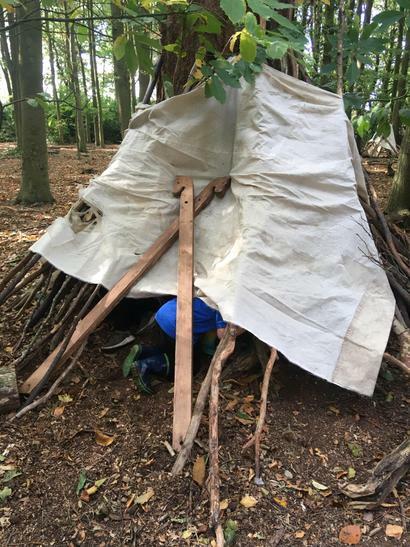 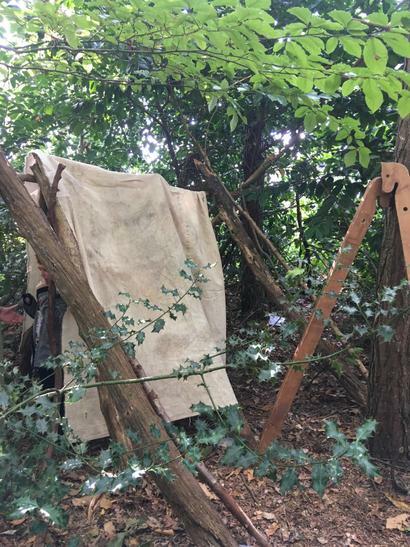 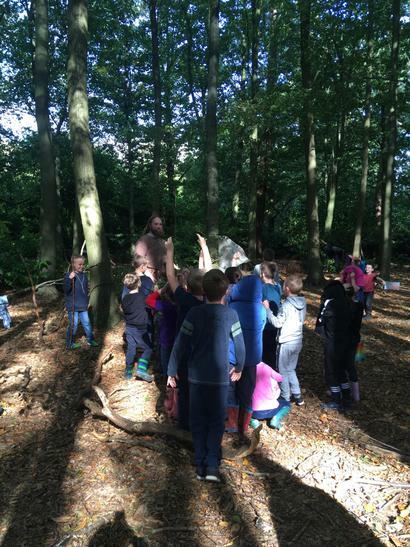 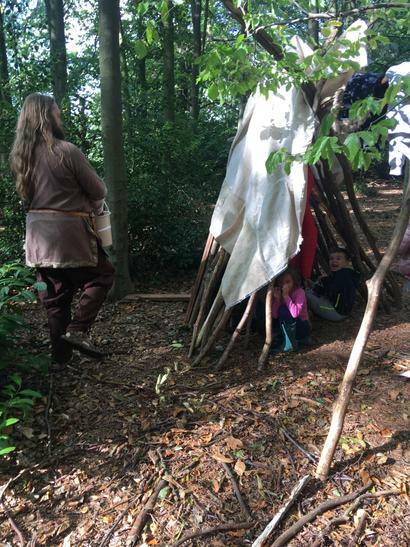 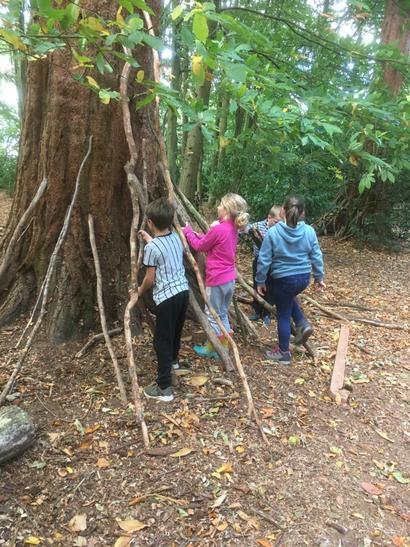 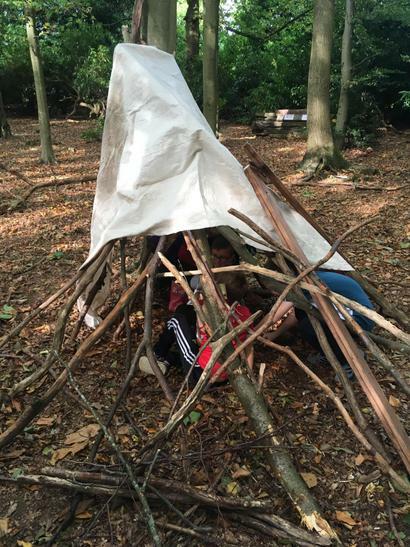 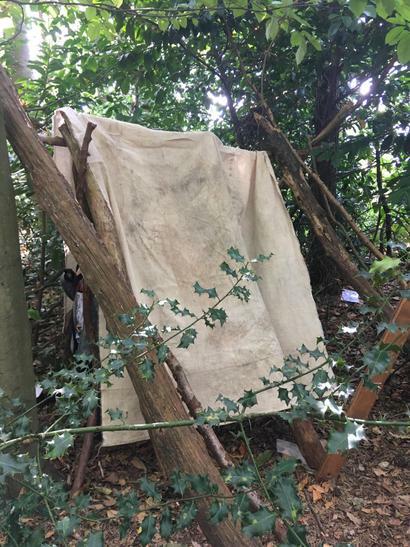 In the afternoon, we went up into the woods and built our own Viking Shelters. 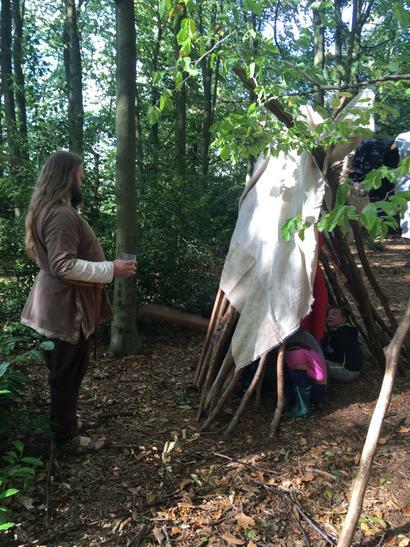 We had to trade some of our items like real Vikings would have done and make sure our shelter was water and wind proof! 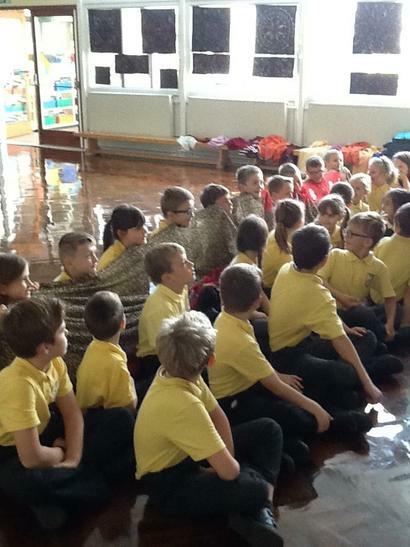 Today we started to read the story of Beowulf and understand more about what makes a heroic character in an epic tale. 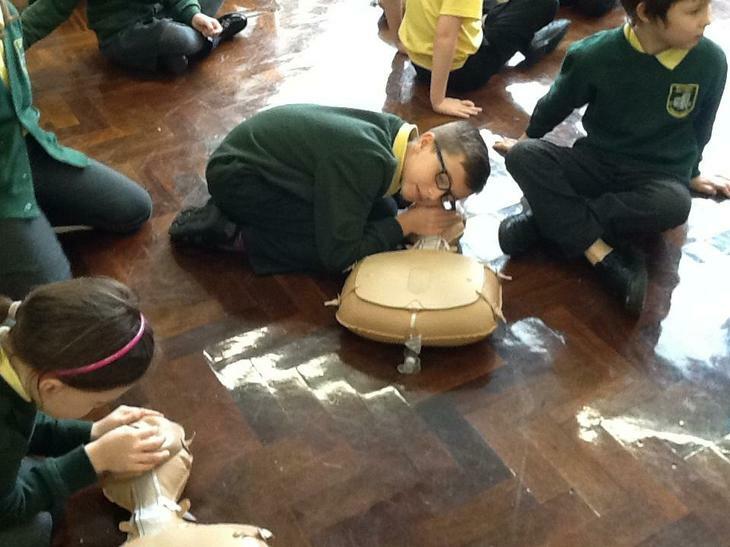 We brainstormed some ideas and then designed our own hero to use in a stories in a few weeks. 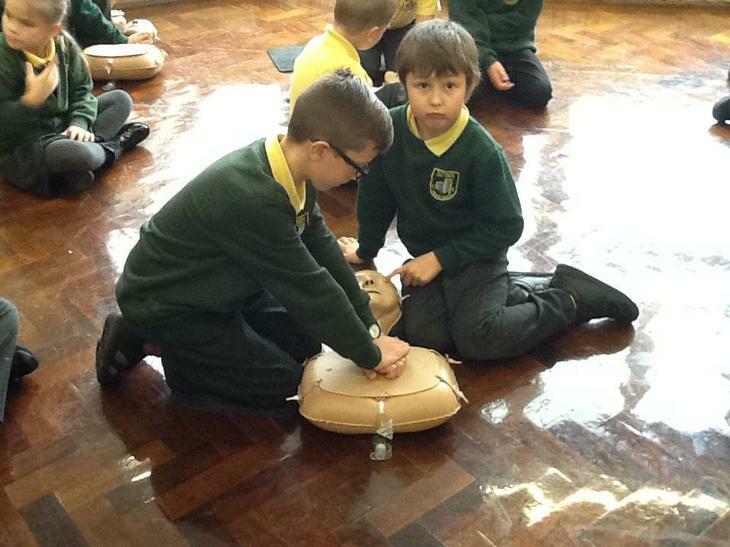 Today was very exciting in Sycamore Class! 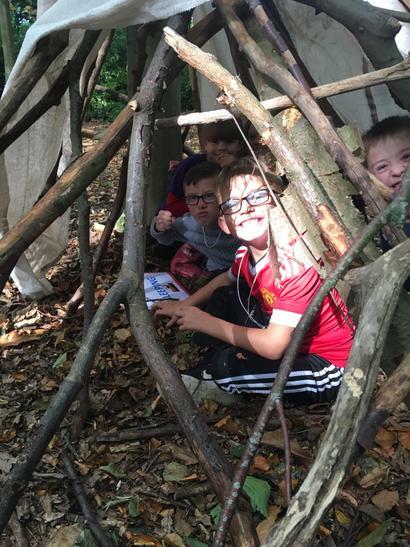 Mrs Brown came into school this morning to discover that Cressida Cowell (writer of How to Train Your Dragon) had tweeted us about our amazing Dragon Trainer Instructions! 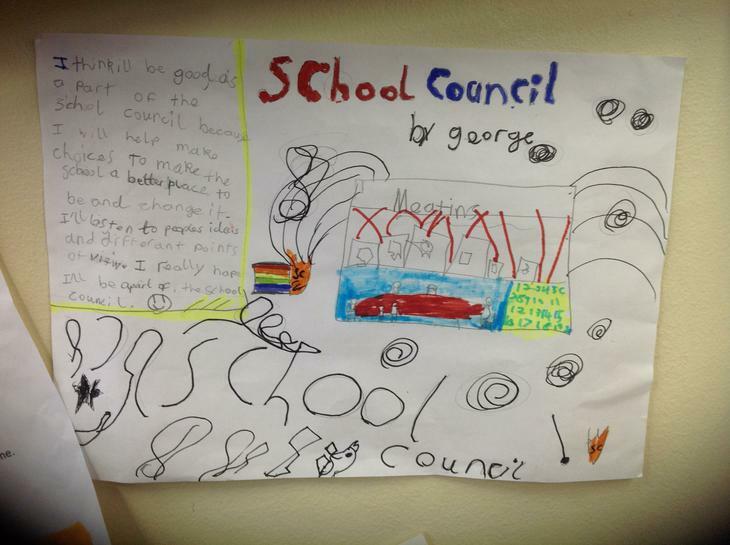 We are so proud of our amazing work and so pleased that she has recognised our hard work! 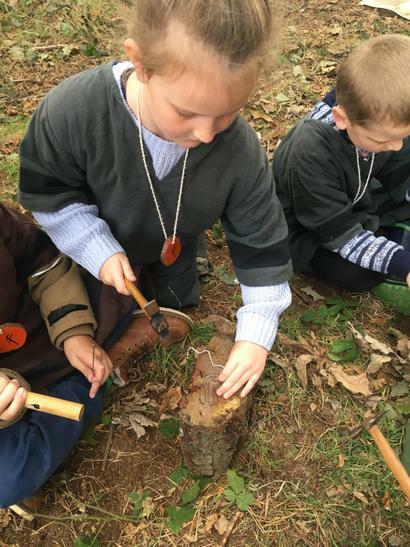 How do you train Sycamore's Dragons? 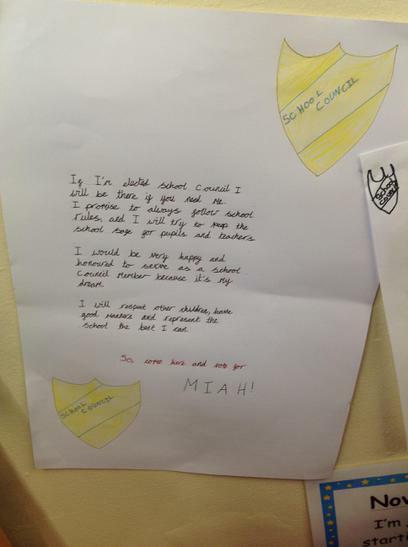 We have had a fantastic start to our writing this year by publishing our instructions to train our dragons. 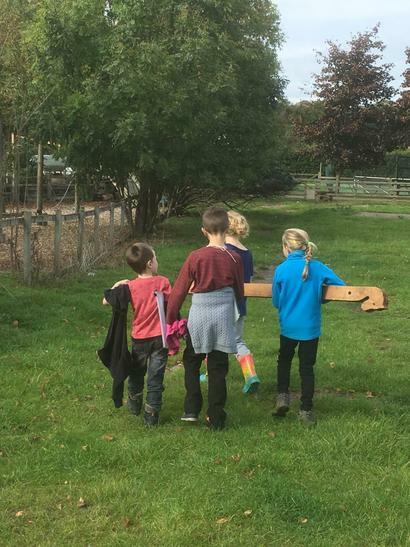 We designed our own dragons after using Toothless, Gronckle and the Monstrous Nightmare as inspiration and then wrote our instructions on how to train them. 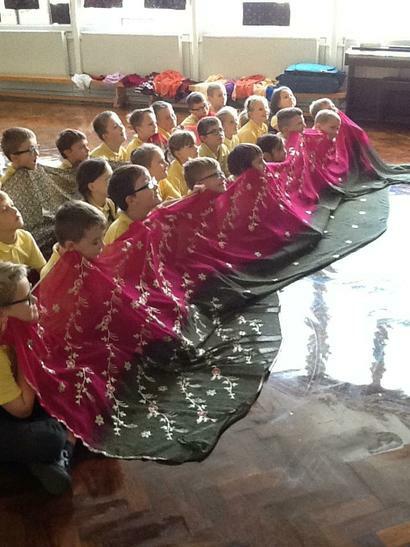 We have had an amazing day today learning all about the Hinduism Faith and culture. 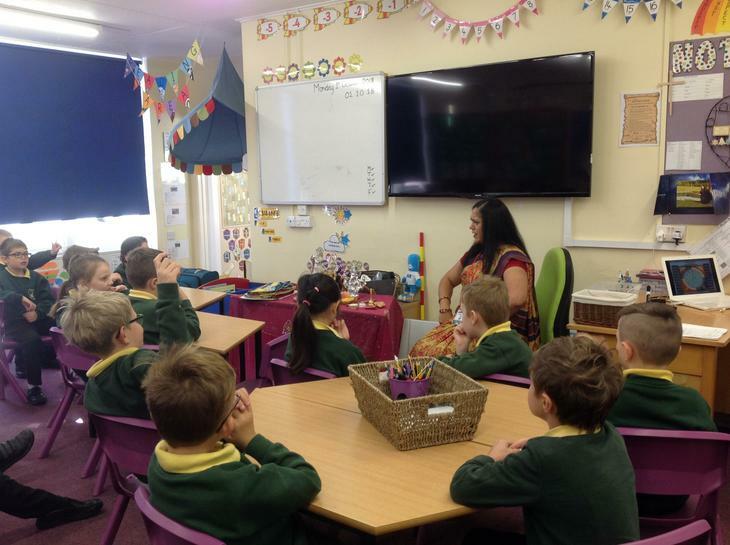 We started the day with a storytelling session all about Diwali. 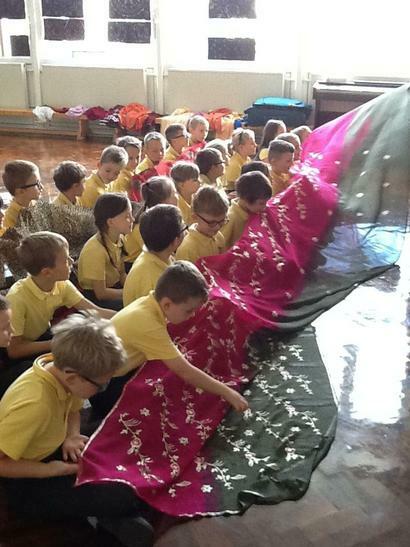 We then created our own Rangoli patterns that were used to welcome people into their homes during the festival. 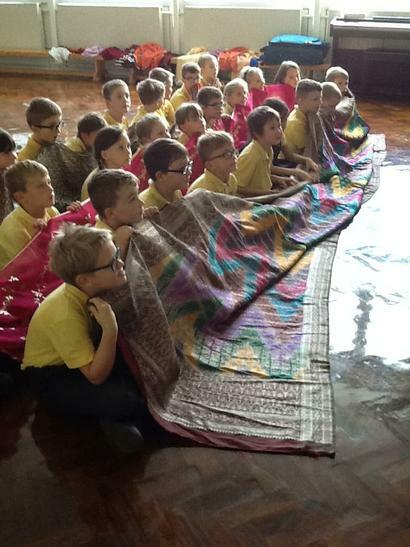 They are now on display in the hall for the whole school to see! 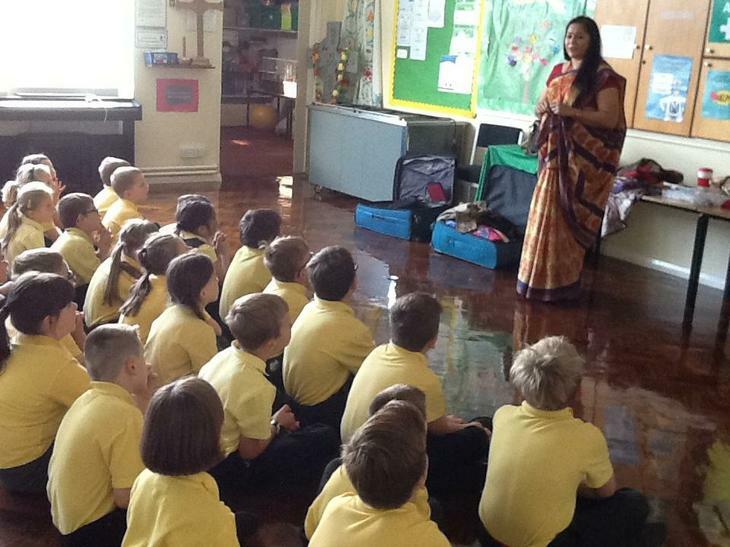 We learned more about the Hindu Gods and how important they are to each person. 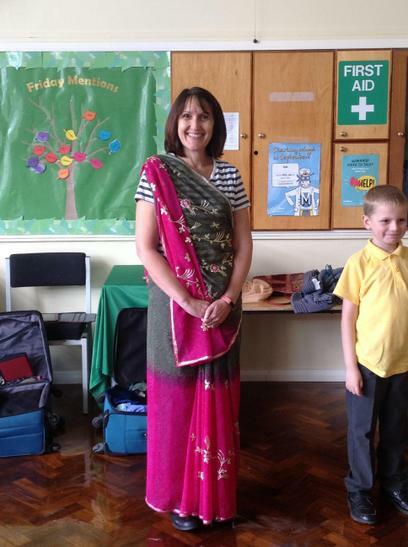 In the afternoon, we learned some Indian dances and got to dress up in traditional Indian outfits! 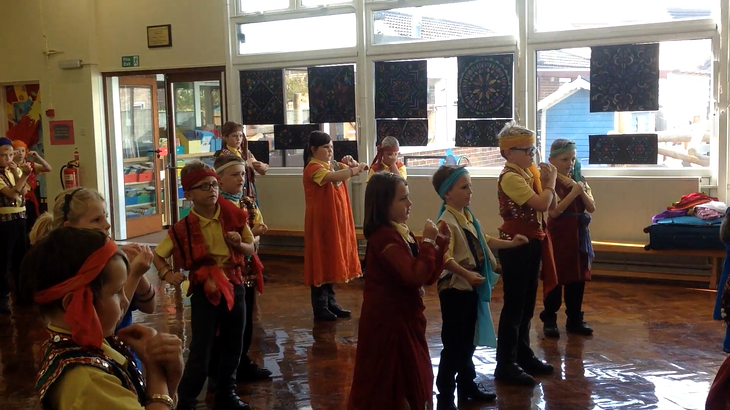 At the end of the day, we performed a dance to the whole school! 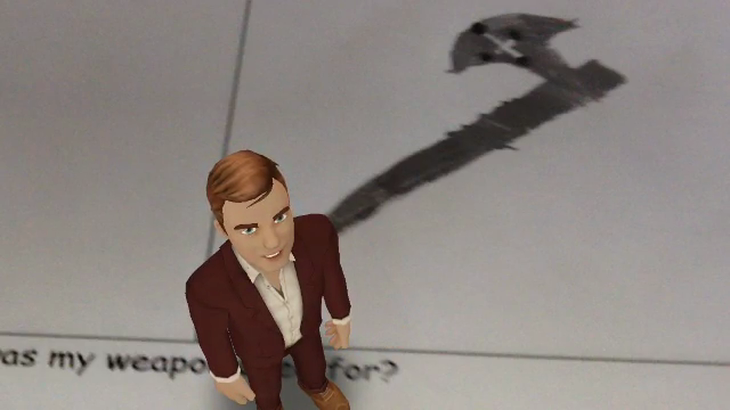 If you'd like to see, a video is on the Video Sharing Platform! 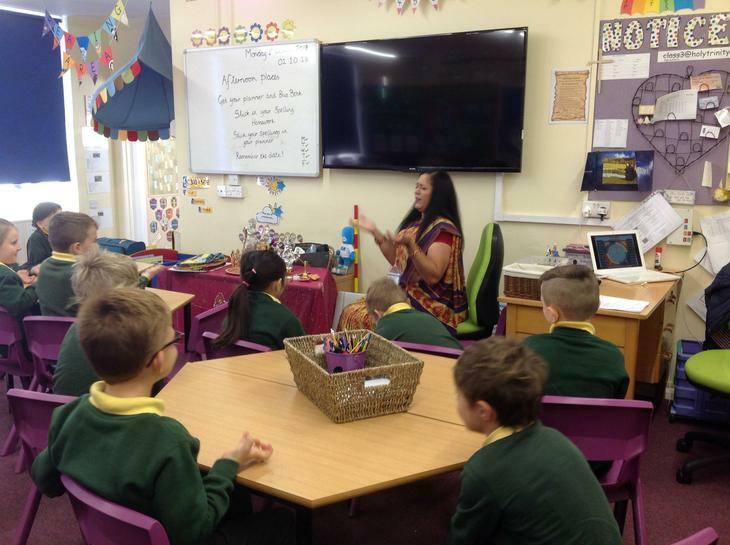 Thank you so much to Sunita for an amazing day and Friends of the School for contributing towards the day! 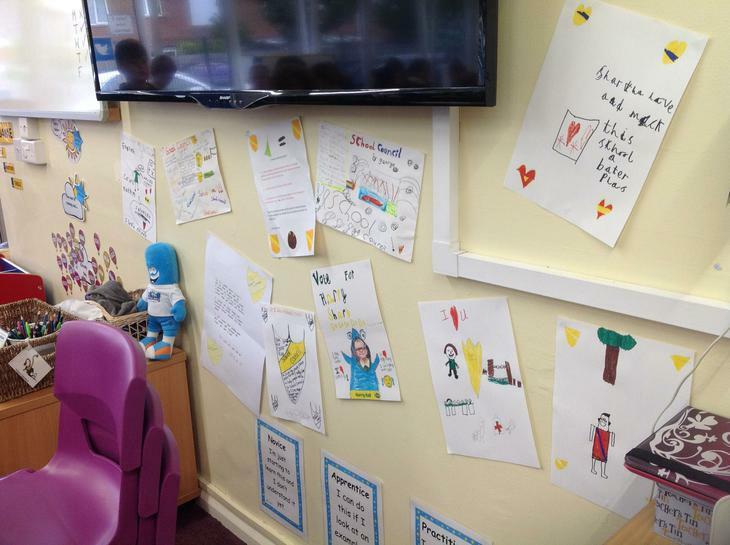 We have had some amazing pieces of holiday homework brought into school this week! 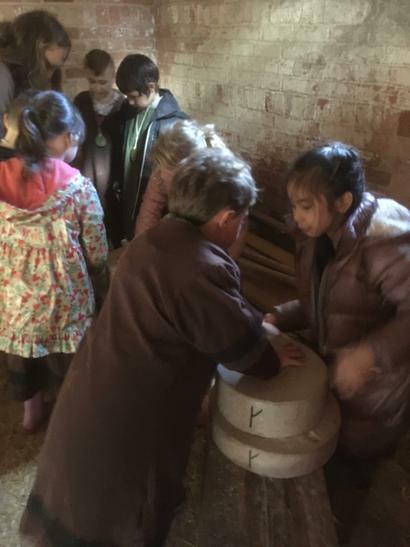 The children have worked so hard on their Saxon houses and have learnt so much in the process! 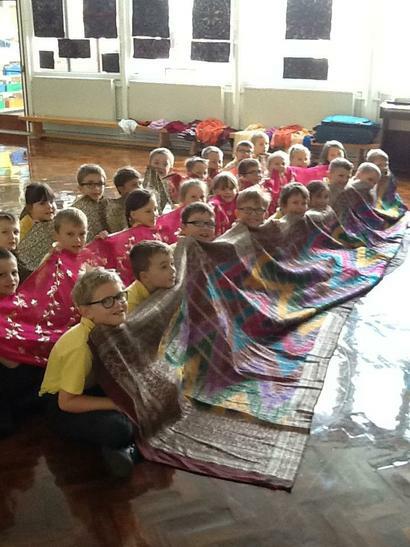 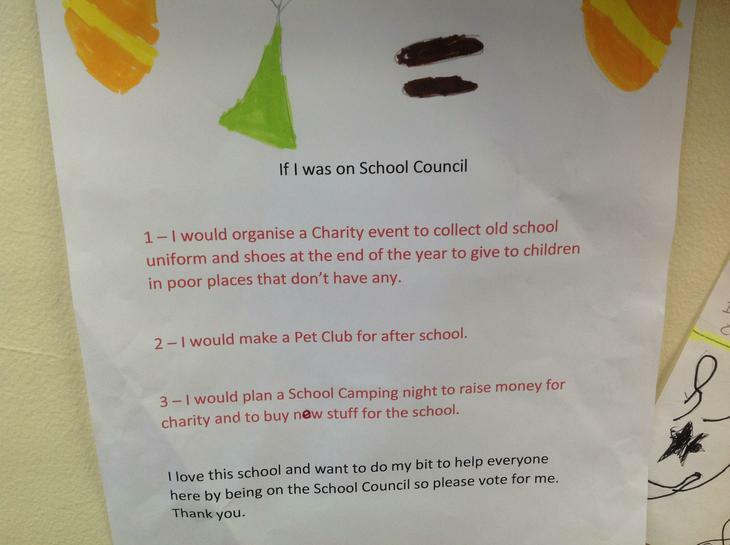 Well done to your amazing efforts Sycamore! 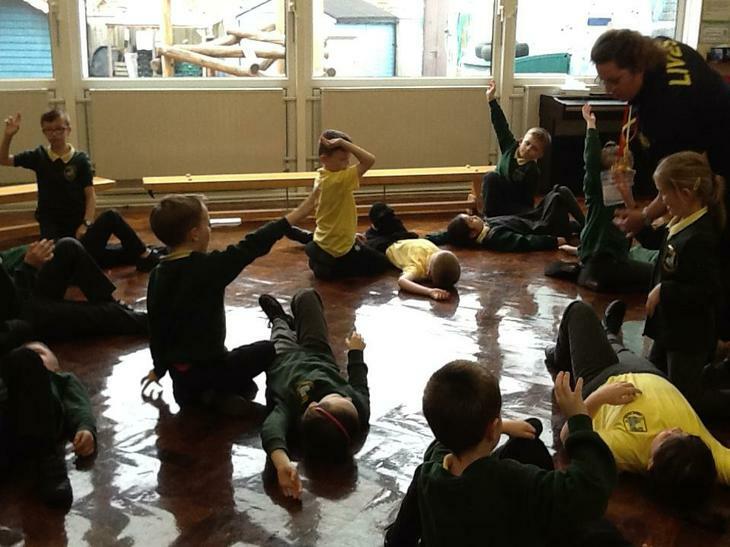 We've been learning a fantastic song in our topic lessons all about the Vikings called Viking Rock! 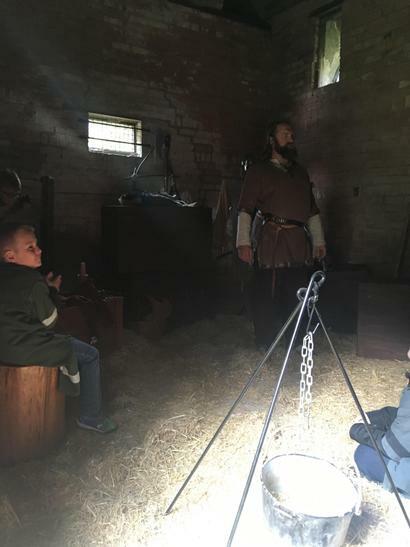 It tells us all about how the Vikings raided and pillaged across Britain and how they lived their lives. 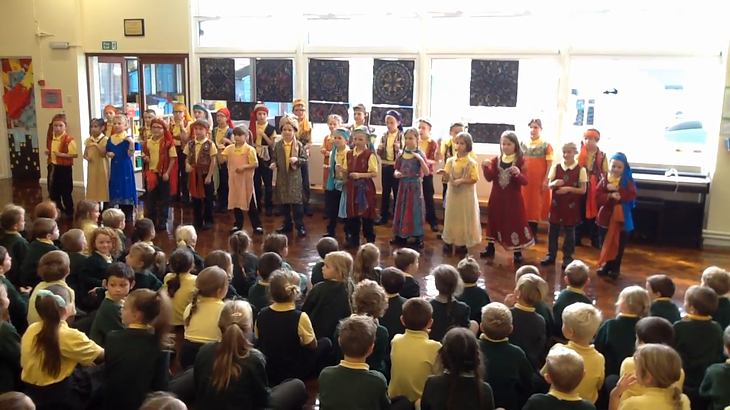 We can't wait to sing it in Friday Mentions to our families! 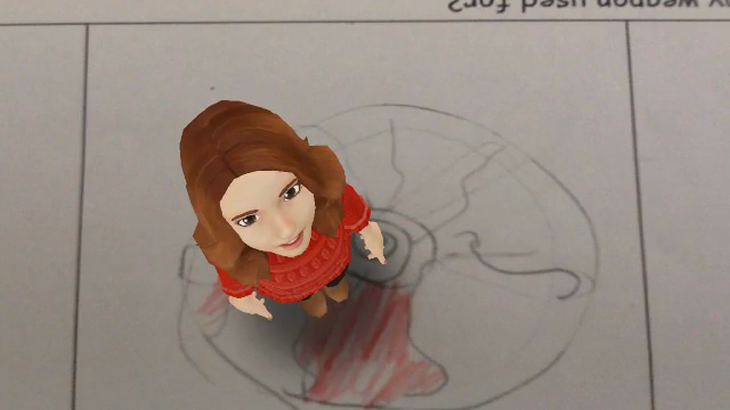 Check out the Video Sharing Platform on the Children's Subpage! 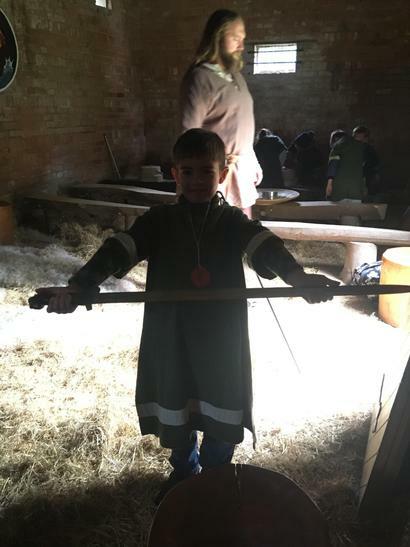 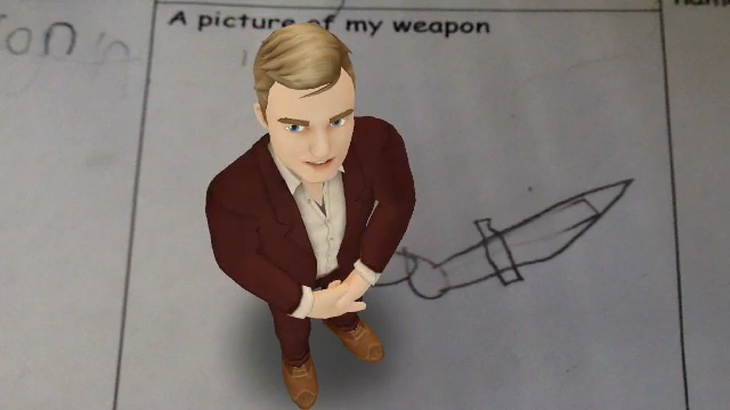 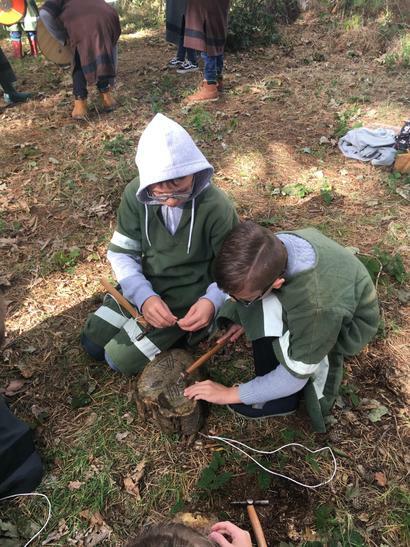 We have learnt a little bit more about Saxon Weaponry this week. 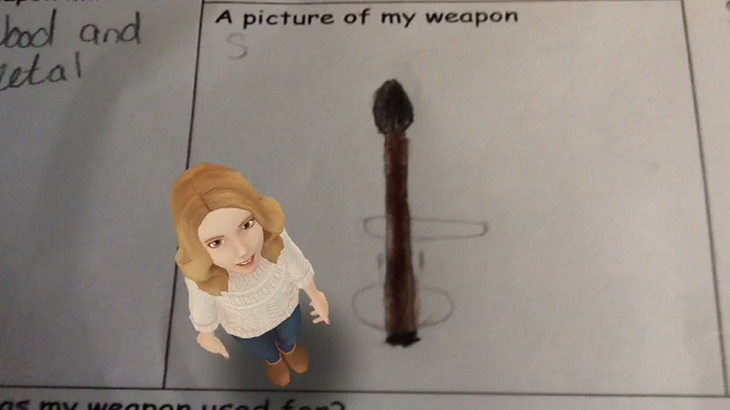 We did some research and then used the App Tellagami to present our information. 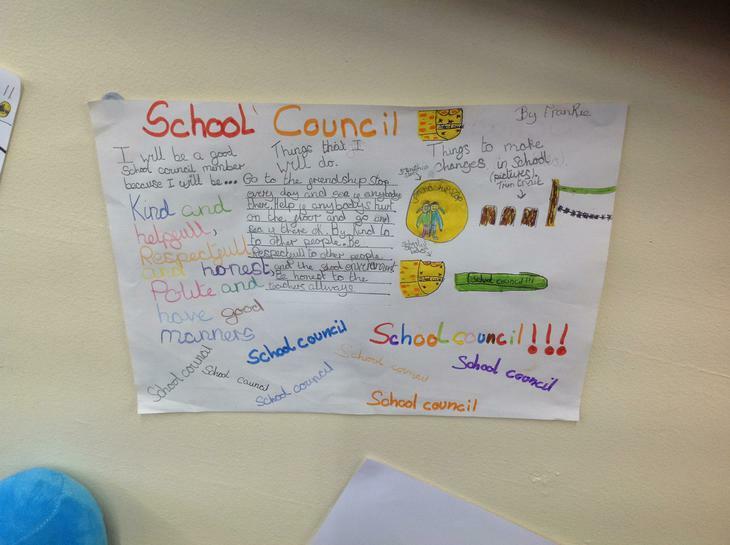 We have our new School Council Representatives! 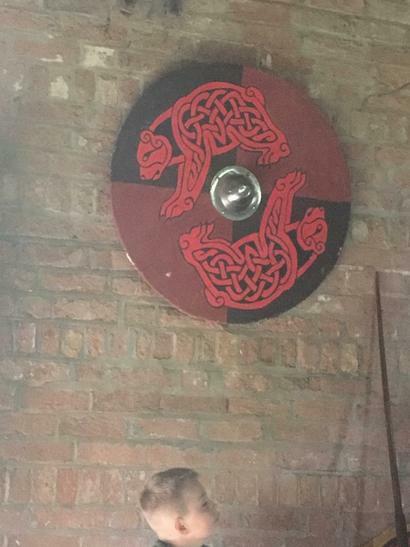 All of the candidates did an amazing job with their posters and their class speeches, every single one of them deserves a huge round of applause! 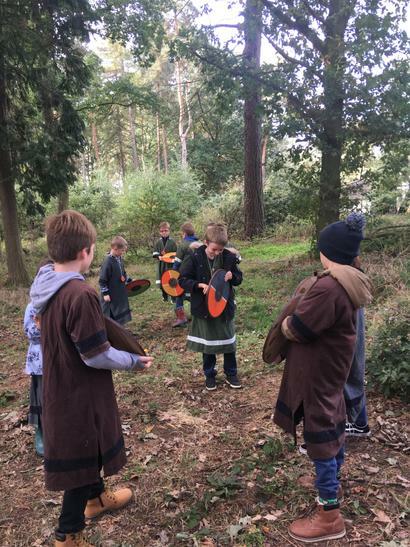 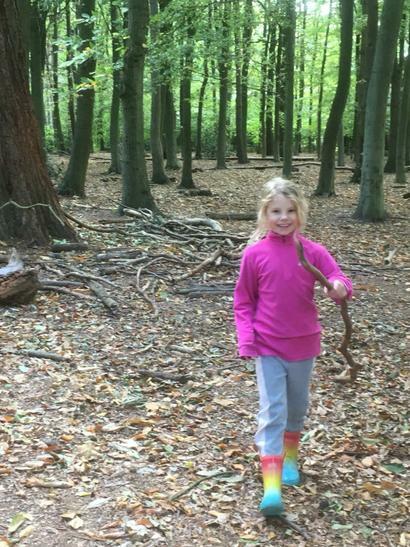 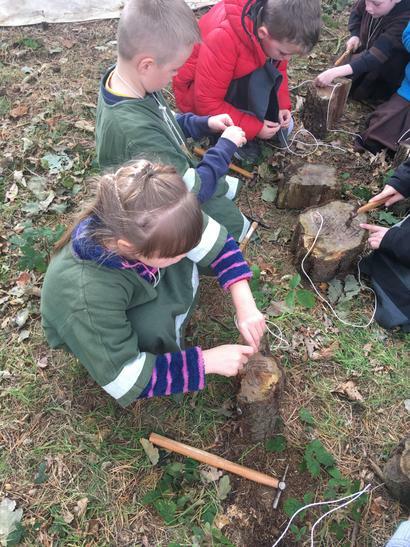 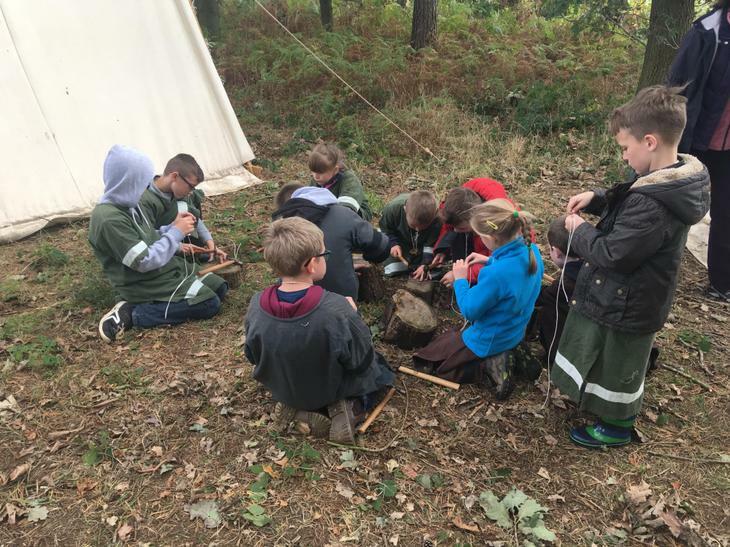 We went outside to have a go at living life the Saxon way! 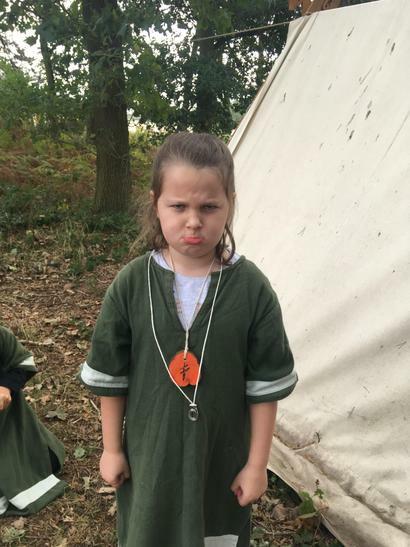 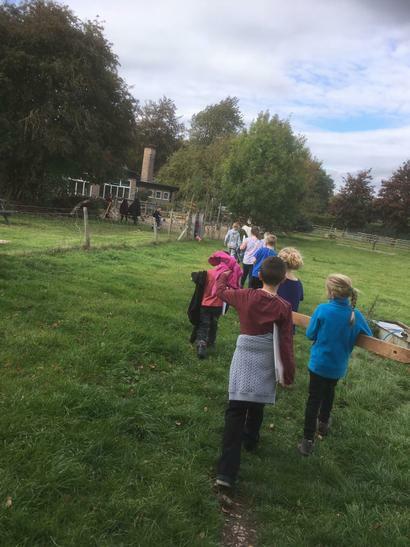 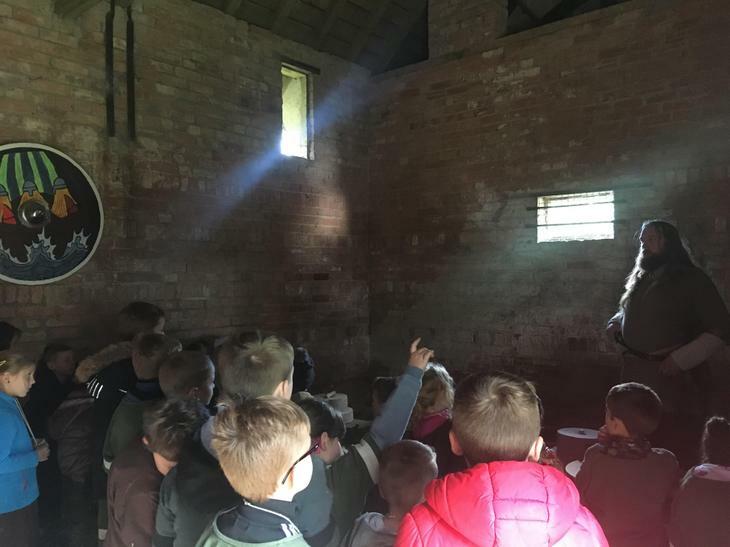 We had to collect water from the stream/water fountain, make clothes by weaving, design our fields so we knew where to plant the crops and build a fire! 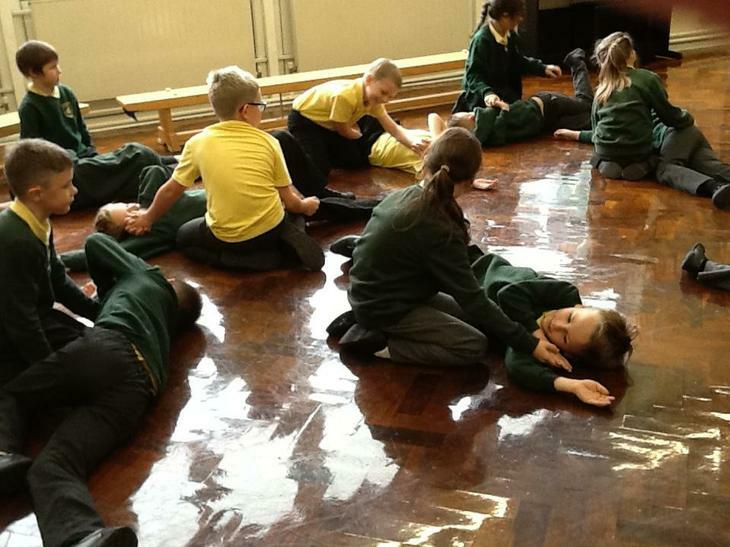 All in the space of one afternoon! 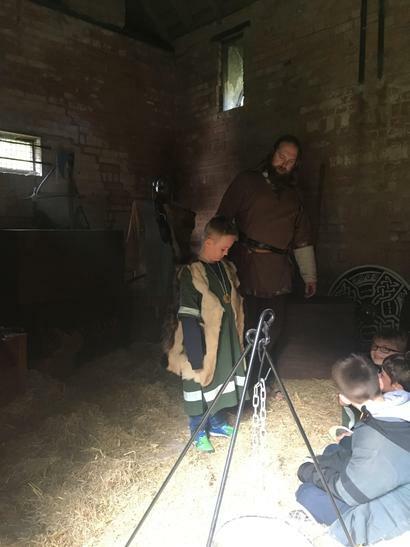 We had a tricky afternoon ordering the events of the Saxon and Vikings! 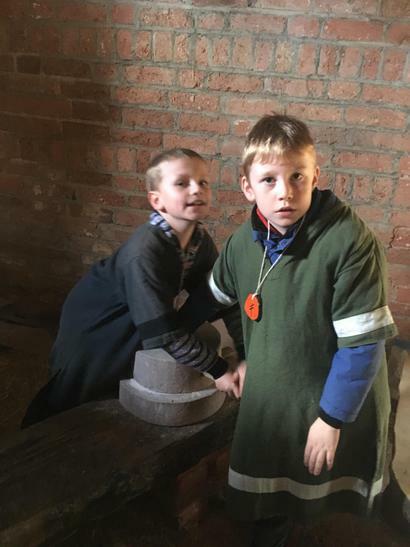 We had to think about using our maths skills to order the events in chronological order and recognise some of the key moments in this period of history. 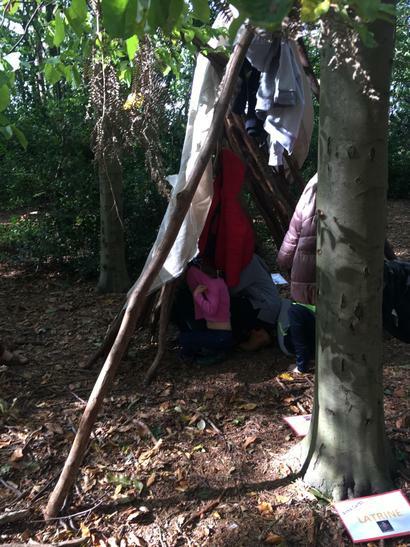 We brought the outside indoors today in our maths lesson! 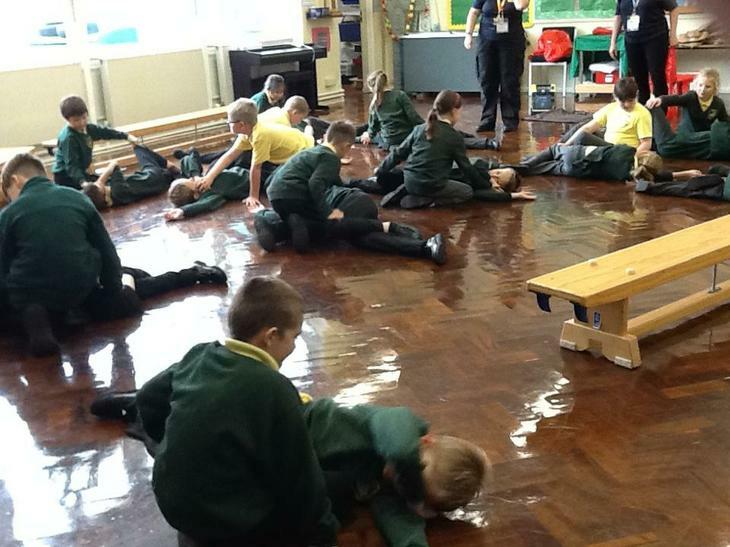 We've been learning all about how we can represent different numbers. 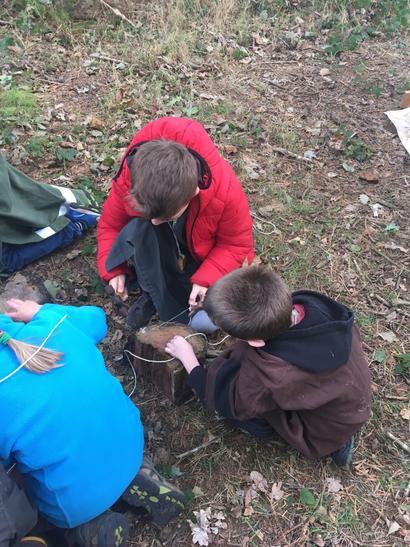 This group used lots of natural materials to show different numbers. 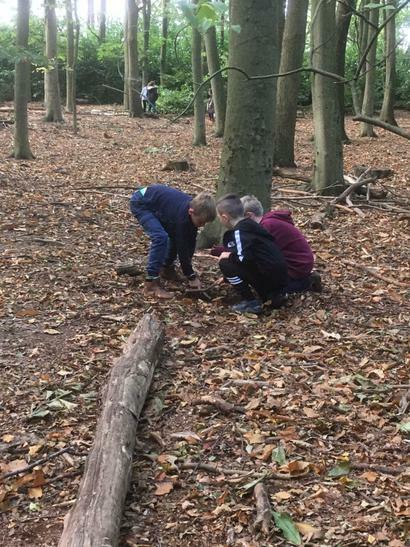 Some objects were hundreds, perhaps a stick was a ten and a leaf was a one!